For years, AMD processors have been a byword for cheap and cheerful — frequently picked in budget gaming guides, but always followed by some justification about how a Core i3 would be a better option if you weren’t so poor. But the latest AMD APU, named Carrizo, might just be the company’s battery-sipping, gaming-friendly saviour. Due out sometime later this year, Carrizo is aimed squarely at mid-range laptops: devices that cost somewhere between $400-$800, don’t have the fanciest silicon inside, and probably don’t have a discrete graphics card. To try and stand out from the crowd, AMD is promising two big changes: vastly better battery life over the previous generation, and powerful integrated graphics. Carrizo is an accelerated processing unit, meaning it crams CPU and GPU cores into one unit — in this case, four CPU cores and eight GPU cores manufactured using a 28nm process. If AMD’s numbers are to be believed — always a big if — the battery life increases are impressive: double the video playback time over AMD’s last-generation processor. In part, that’s thanks to the lower power consumption, but AMD has also used clever tricks to reduce power usage for specific tasks: a full High Efficiency Video Coding pipeline makes playing back video far more efficient (and pretty), while AMD has optimized Carrizo for DirectX 12, which helps those gaming benchmarks. AMD’s reveal of Carrizo certainly makes it seem like a slam-dunk: a processor that improves performance whilst simultaneously improving battery life is basically the holy grail of mobile computing. Whether those promises stack up in the real world — and stack up against Intel’s latest and greatest — remains to be seen. 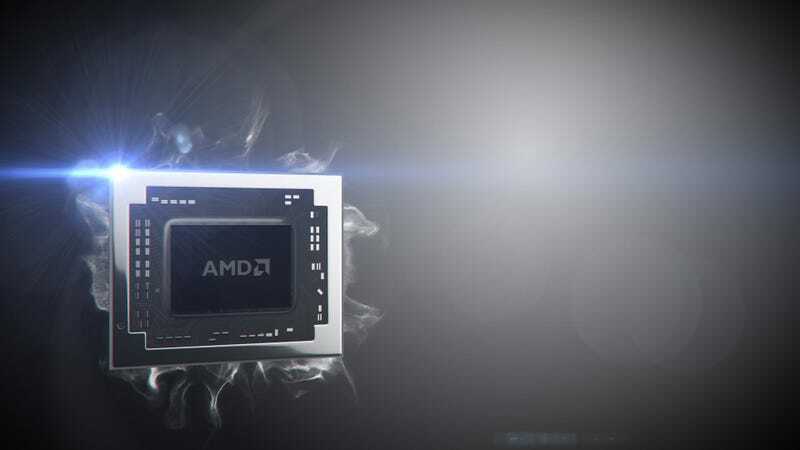 But taken at face value, it seems like AMD might’ve made a chip that people actually want.